Boat Description You will have to work long and hard to find a trailerable twenty-four foot center console that can go head to head with a Triton 2486 CC. This is a no-nonsense fishing machine that speaks volumes about the man who owns it. From the raised casting deck forward, to the roomy cockpit aft, the 2486 offers endless possibilities for plug casters to blue water trollers. Strong points include full 360 degree fishability, loads of storage, and a deep-vee hull that assures one of the smoothest rides in its class. 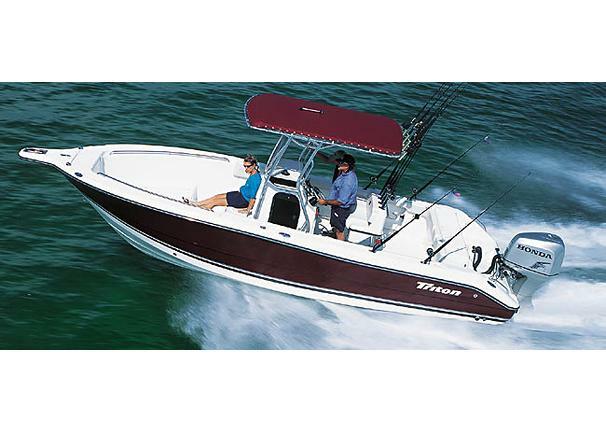 Don`t settle for an ordinary center console, step-up to a genuine Triton 2486 CC.